Everyone has a different background. You may have been born in another country, or perhaps your parents or another relative was. 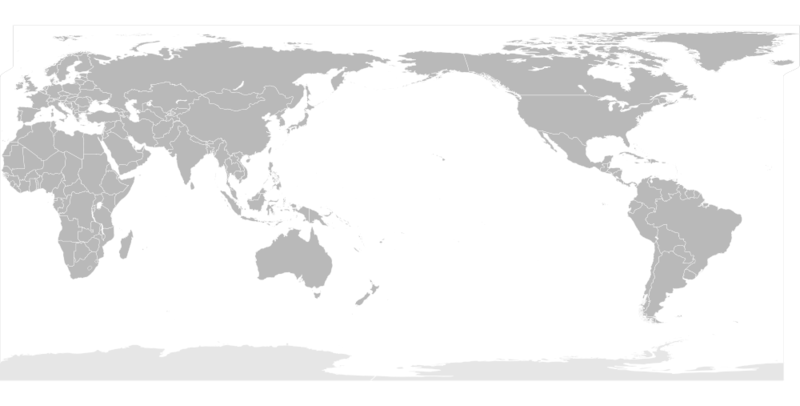 Using a map of the World and British Isles, locate countries where children have been on holiday, where family live abroad or have come to Britain. • Class family heritage audit – talking homework – ask parents about family origins. • Whole school family heritage audit – tick list of where parents/grandparents come from. Audit across the classes. • Use information to create a family tree using ICT textease template or 2simple 2connect. • World celebration – investigate different foods you’d find in a supermarket and discuss their place of origin (talking homework). Record findings back in class on world map. • International food day – invite people from school community to present food from their traditions or perhaps visit local authentic pizza parlour! 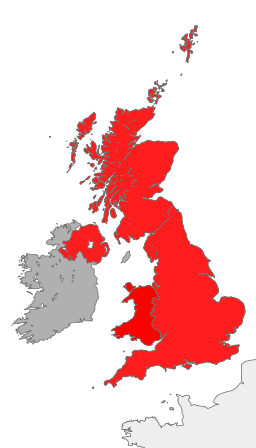 • Create a We are Britain collage. Draw a body outline on a role of paper. Colour different sections of this body to look like flags or pictures of food, objects, places to show the countries that you are connected to or have an interest in. • Discover festivals of light e.g. 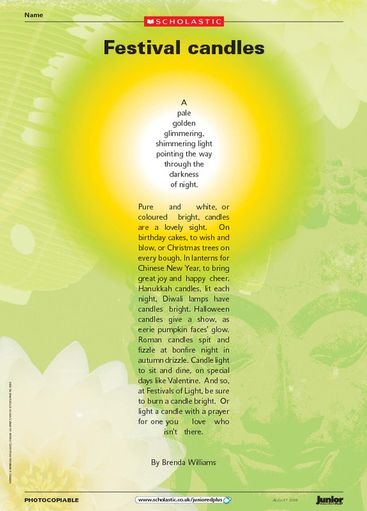 Chinese Moon Festival, Christmas, Diwali. Use poem “Festival Candles” by Brenda Williams. Take advantage of children in school who practise different religions and ask to share their experiences and knowledge. • Create a faith display – Share and Compare e.g. Diwali and Christmas. Read e-book Special Days Poems which features poems from across all cultures. • Play music from across different cultures in the classroom whilst carrying out activities. Where were you born? Were your parents born in the same place? Do you know where our town is on the map of the British Isles? Where have you been on holiday? Do you know where that is on the map/globe? Do you know where different foods come from? When do you celebrate special days?